Powerball is an American lottery game offered by 44 states, the District of Columbia, Puerto Rico and the US Virgin Islands. It is coordinated by the Multi-State Lottery Association (MUSL), a nonprofit organization formed by an agreement with US lotteries. 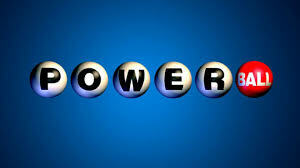 Powerball's minimum advertised jackpot is $40 million (annuity); Powerball's annuity is paid in 30 graduated installments; winners may choose cash instead. Drawings are held Wednesday and Saturday evenings at 10:59 p.m. Eastern Time. Since October 7, 2015, the game has used a 5/69 (white balls) + 1/26 (Powerballs) matrix from which winning numbers are chosen, resulting in odds of 1 in 292,201,338 of winning a jackpot per play. Each play costs $2, or $3 with the Power Play option. (Originally, Powerball plays cost $1; when PowerPlay began, such games were $2.) The official cutoff for ticket sales is 10:00 p.m. Eastern Time; some lotteries cut off sales earlier. The drawings are usually held at the Florida Lottery’s studio in Tallahassee. How do you choose lottery numbers?